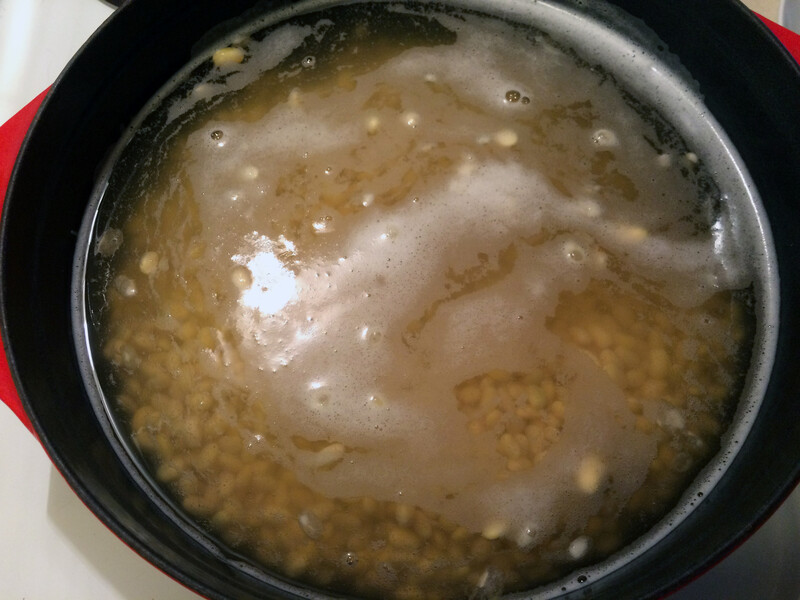 Making Miso – Batch 1, getting started – Apprentice Mages Lounge. Apologies in advance if this is too long and detailed for my anime followers, but this is also getting cross posted to some culinary groups and lists. I spent a couple of months doing research, and to be honest I’m not going to give a lot of links to resources… there’s not a lot of variance between them. 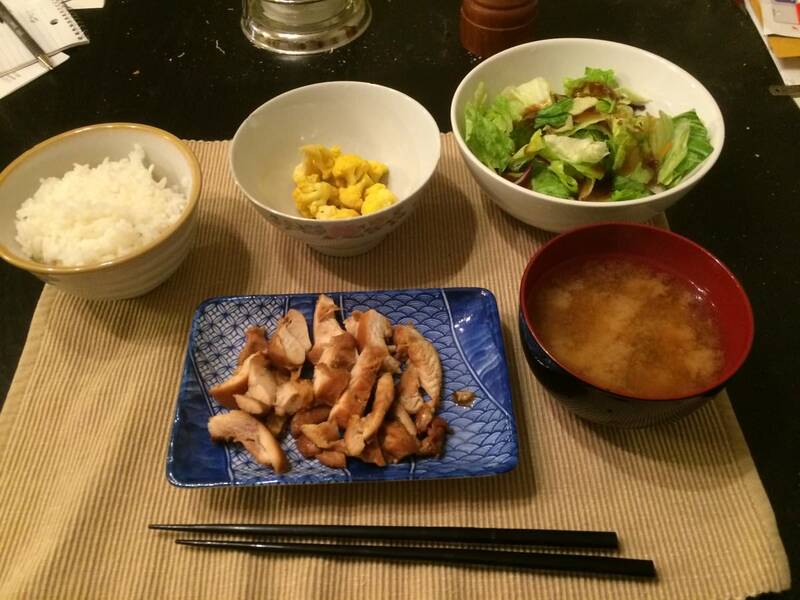 My biggest help came from the Facebook group The Art of Miso. There was a list of resources there for mail ordering the koji, and a helpful chart of the various ratios for various kinds of miso. (Weights and ratios are pretty important for repeatable results.) They also graciously answered a bunch of newb questions as I was working up my recipe and procedures. Once they were cooked it was getting late, so I set them to drain and cool figuring that separating them would let them cool faster. If it’s too hot when the beans and koji are blended, you’ll destroy the enzymes and kill the organisms you’re trying to cultivate. 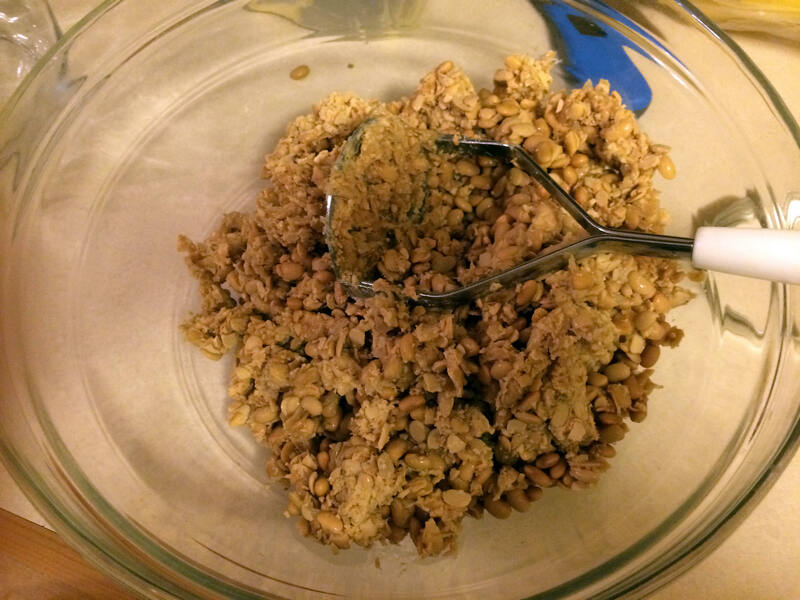 Once they’re cool, it’s time to mash them – and here’s where I discovered that I’d made an error… Cooling them dry had let them harden and made them hard to mash evenly. I added some reserved bean liquid back and that seemed to help. Lesson learned: The beans need to be moist and soft to mash properly. Next time either let them cool in their cooking liquid, or mash them hot then let them cool. Another lesson learned, one I shouldn’t have had to learn. I’m really pissed at myself over this as normally (courtesy of my time in the Navy among other things) I follow procedures as naturally as I breathe. 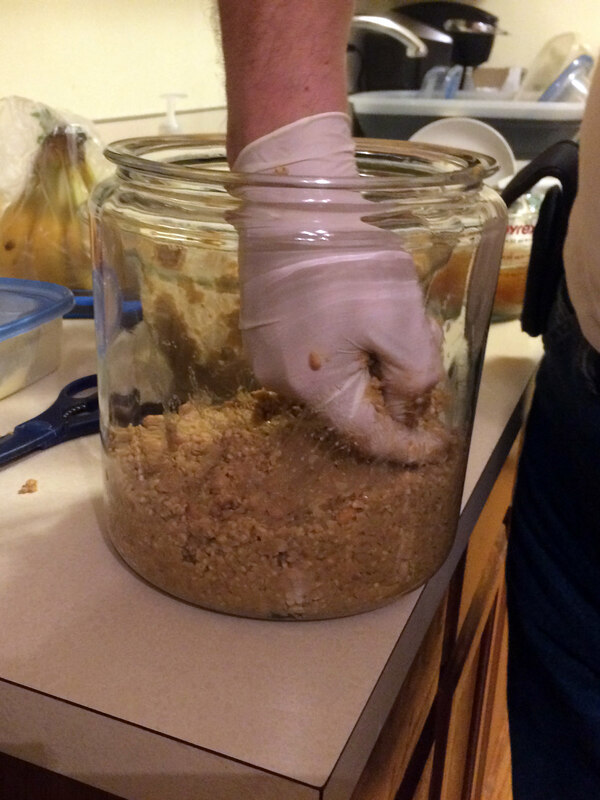 The next step, put the miso-to-be into it’s fermentation container… carefully mashing it in and pressing out all the air pockets. After cleaning the container I put a goodly amount of salt around the edge and on top of the miso to help prevent bad mold growth. 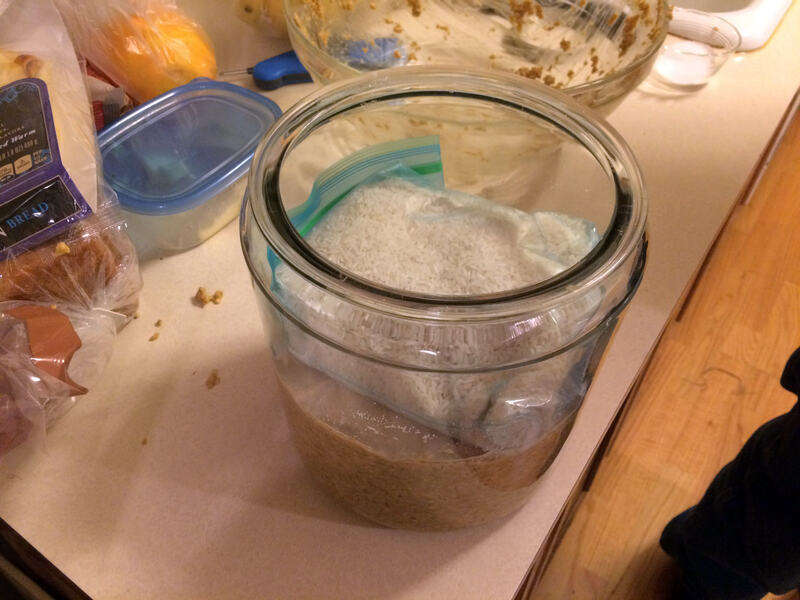 Then I put a circle of parchment paper and a zip-lock bag filled with rice on top to weight the whole thing down. 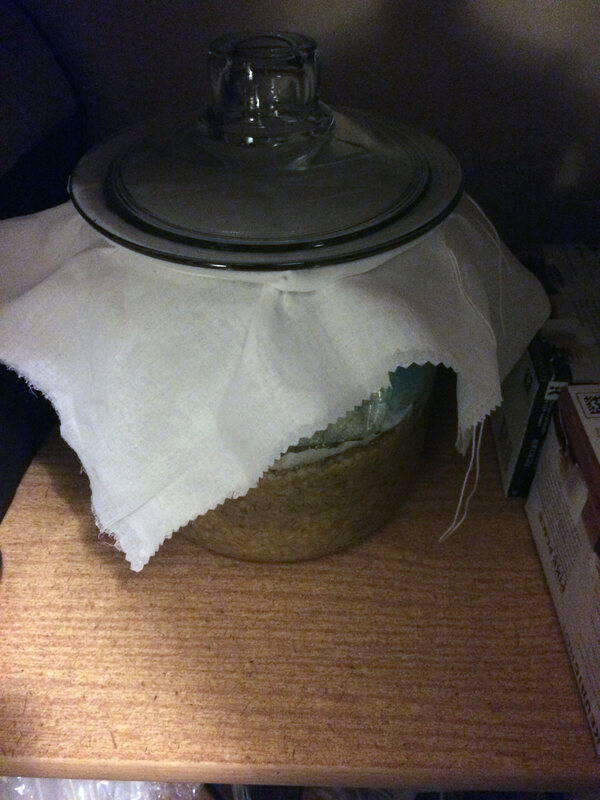 Cheesecloth and a lid (further protection against contamination) completes the stylish ensemble, and the whole thing set to rest in a cool dark place (my pantry) to age. 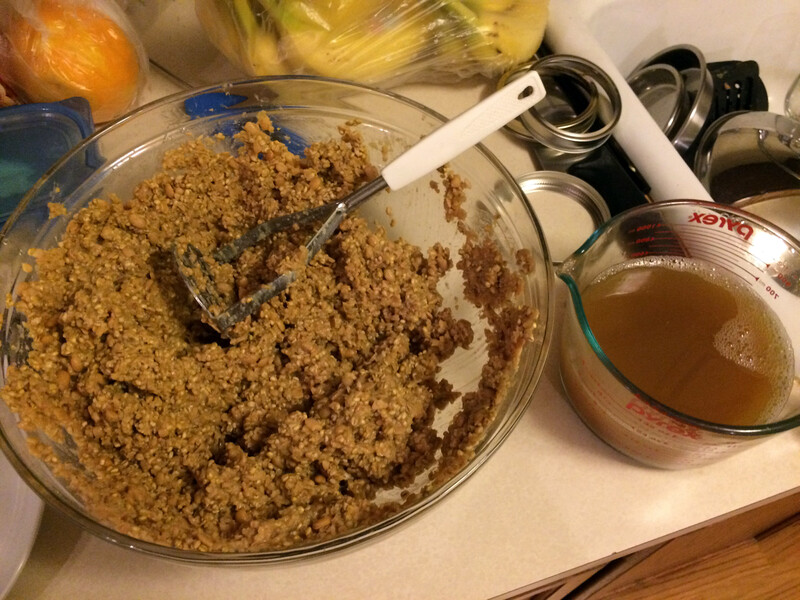 I need to stir it once a month, and it need to age/ferment for four months… Then I’ll know whether it worked or not. Crossing my fingers! 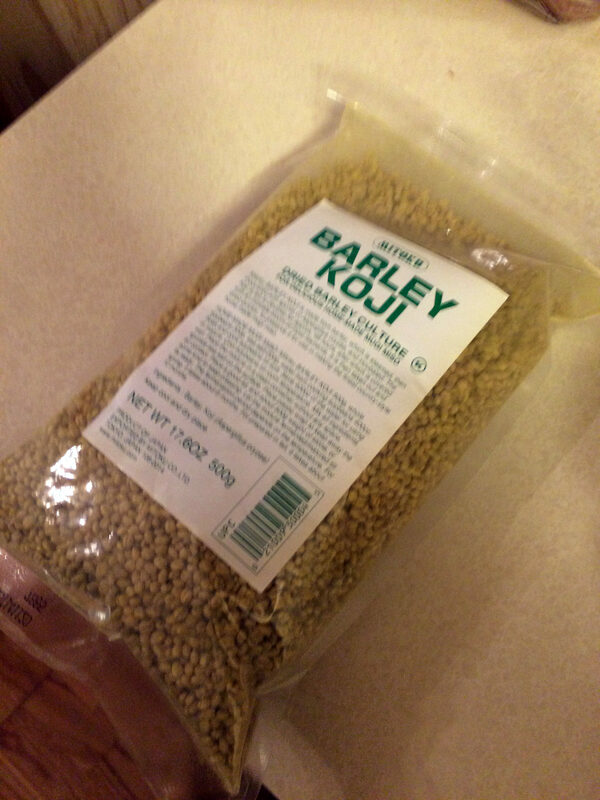 Once it’s done, I’ll be able to use it in one of my favorite things in the whole world – miso soup! I should post my recipe one of these days, making it from scratch is very easy and it’s soooo much better than instant. Anyhow, thanks for making it to the end of a long post… be sure and drop a comment if you have any questions or thoughts! Not much of a cook myself, so I was surprised how interesting I found this to read. You need a lot of patience for miso, it seems. I have neither questions nor comments (other than what little I’ve already said), but I did read the post with interest. I’m still finding my bearings. Before I hurt my back, I used to brew… Used to make a killer porter that sat in a tertiary fermenter from Nov-May in an unheated back room. I miss those days. Yeah. Those 25litre fermenting buckets are crazy heavy when full. Fermentation sure is interesting. Looking forward to see the results of your project. We’ll see how it turns out along about March… I can’t wait. I think it’s incredible that you’re trying! 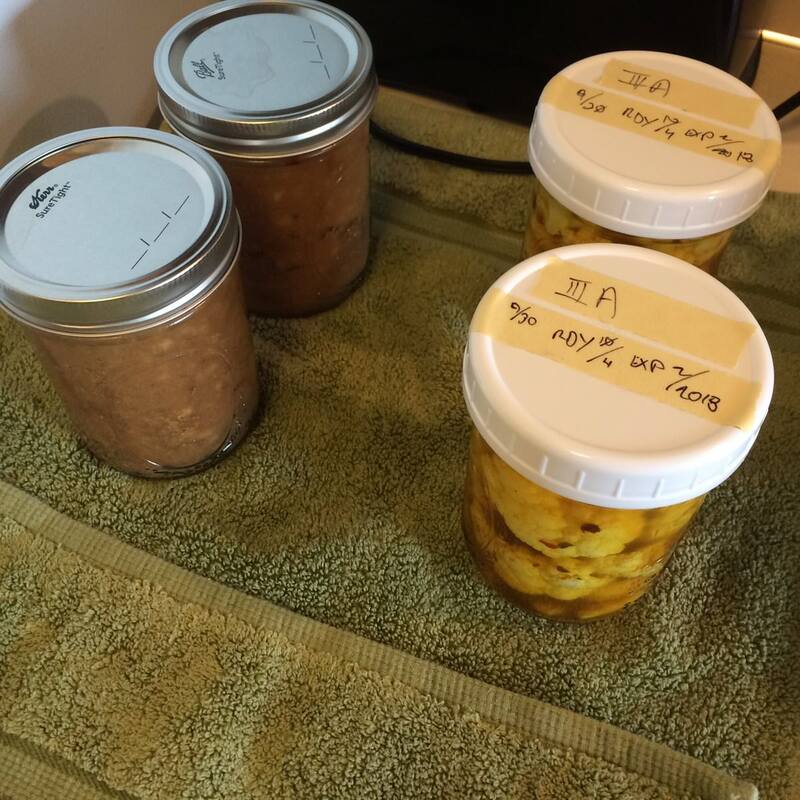 I’ve found a love for cooking, but I have yet to tread into the jungles of fermentation. There have been some recipes for pickling that I’ve been eyeballing, but making miso from scratch still seems too far off. I’m looking forward to your update about four months from now! Pickling has been fun! Plus it means a steady supply of pickled cauliflower, which I adore. Pingback: Local blogger hits milestone! – Apprentice Mages Lounge. 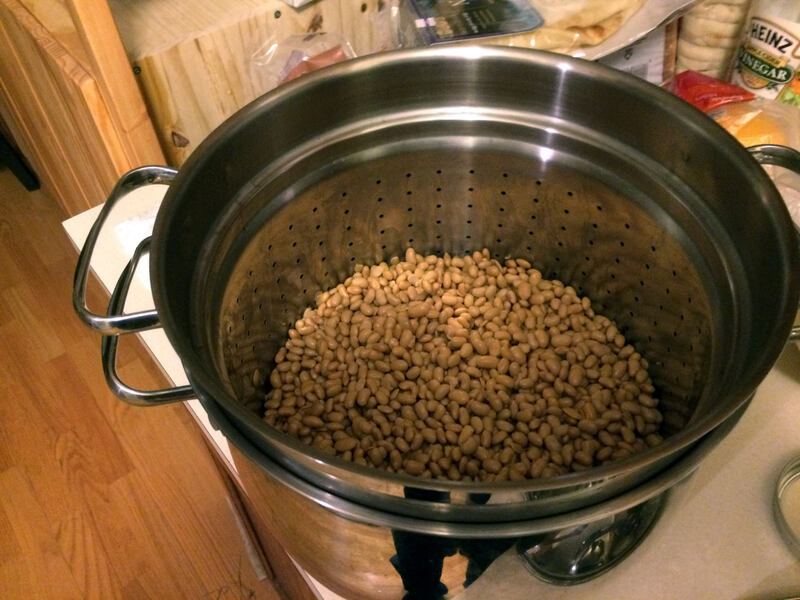 Pingback: Making Miso – Batch 1 finished. – Apprentice Mages Lounge. Previous Previous post: Uchuu Senkan Yamato 2199 – group watch / collaboration?